Maine Attorney General Janet Mills at a press event in 2015. Maine Attorney General Janet Mills says her office is prepared to challenge any unlawful action by the Trump administration to abolish or reduce the Katadhin Woods and Waters National Monument. U.S. Interior Secretary Ryan Zinke is scheduled to visit Katahdin Woods and Waters on Wednesday as part of a review of more than two-dozen national monuments singled out by the Trump administration. In comments filed with the U.S. Interior Department, Mills questions whether the Interior Department has effectively predetermined the outcome of its own inquiry. Further, she argues that, while the law allows presidents to create national monuments, the executive branch has no authority to abolish or reduce one. 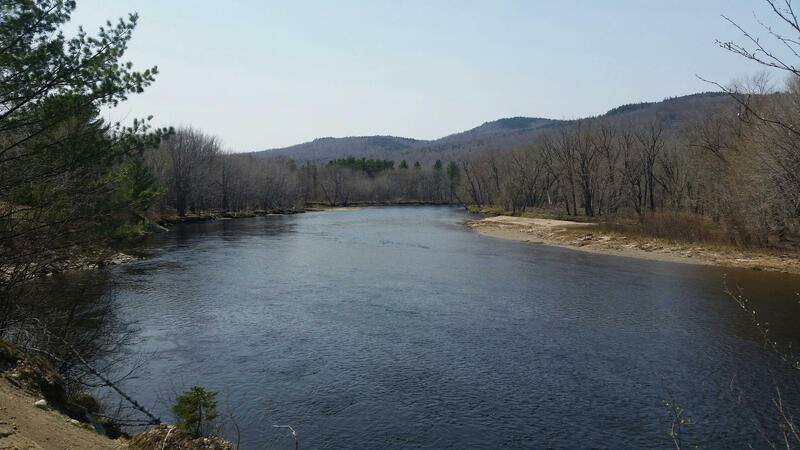 A view of the East Branch of the Penobscot River, as it flows through land comprising the Kathadin Woods and Waters National Monument. In addition, Mills writes that there was extensive public outreach preceding the national monument’s designation, and that public support for the national monument has continued to increase since. President Barack Obama created the monument, which comprises more than 87,000 acres of land donated by Burt’s Bees entrepreneur Roxanne Quimby. U.S. Secretary of the Interior Ryan Zinke isn't saying one way or the other what his recommendation might be regarding the status of the Katahdin Woods and Waters National Monument.